In early 2018, Great Circle announced the successful completion of its four-year, $21.5 million “Campaign for the Path Ahead” that created a regional hub enabling children and families to access more educational, therapeutic and social support and services when they need it most. 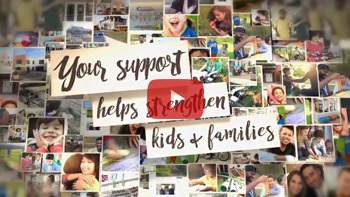 A statewide nonprofit, Great Circle is one of Missouri’s largest providers of family support and behavioral health services, serving more than 38,000 people each year. Through the campaign, Great Circle has expanded its services and facilities available through its 22-acre Webster Groves campus, 330 N. Gore Avenue. The improvements mean the campus is well-equipped to meet today’s needs to provide behavioral health services to children and families. Significant upgrades to Great Circle’s residential cottages, which support children during temporary placements outside the home. Expansion to the on-campus school to create more classrooms and educational spaces, and improved recreational areas, which now serves about 250 children in grades K-11 with emotional, behavioral and communications issues, on the autism spectrum, or in recovery from substance abuse. Addition of the Janet T. and John Baumstark Community Impact Center and Orthwein Fieldhouse, which are multi-use buildings used for hosting community-wide programming, provide recreational space for youth served by Great Circle, and house administrative/office space. Thanks to Donors: Thanks to the hundreds of individuals, companies and foundations that helped make Great Circle’s Campaign For The Path Ahead a tremendous success! John T. and Janet Baumstark. They have been involved with Great Circle for more than 35 years. The Community Impact Center has been named in their honor. Joyce and Chauncy Buchheit. They first became involved with Great Circle through its Meramec Adventure Learning Ranch, in Steelville. Their gift supported the major expansion of the Education Complex on campus. William R Orthwein, Jr. & and Laura Rand Orthwein Foundation. The Foundation has been a long-time supporter of Great Circle’s work. The new Fieldhouse is named in its honor. J.E. & L.E. Mabee Foundation. Through its challenge grant to the campaign, the Foundation helped encourage additional significant giving, including support for upgrades to the residential cottages. Centene Charitable Foundation. The Foundation’s gift focused on Great Circle’s educational program, and provided substantial support for the new school wing for children on the autism spectrum. make the path in the St. Louis region complete. “My son was diagnosed with autism when he was 3. He couldn’t speak. He climbed on top of furniture. He became harder and harder to control. When I learned about Great Circle’s day school for kids with autism, I was almost without hope. Lucas was enrolled and things began to change. He started using picture communication and is toilet trained. He has even started to speak words. You saved my son’s life—and mine."